On behalf of our law firm we would like to extend our best wishes to everyone applying for an H-1B visa this season. The H-1B visa is limited. Every year thousands of employers file these visas on behalf of foreign workers to fill specialty occupations. The issuance of H-1B visas is limited to 65,000 per year. Individuals holding advanced degrees from the United States (master’s degree or higher) have a greater opportunity of being selected, however only the first 20,000 petitions received for individuals holding advanced degrees will be exempted from the cap. Petitions received in excess of 20,000 will count toward the regular Bachelor’s cap. 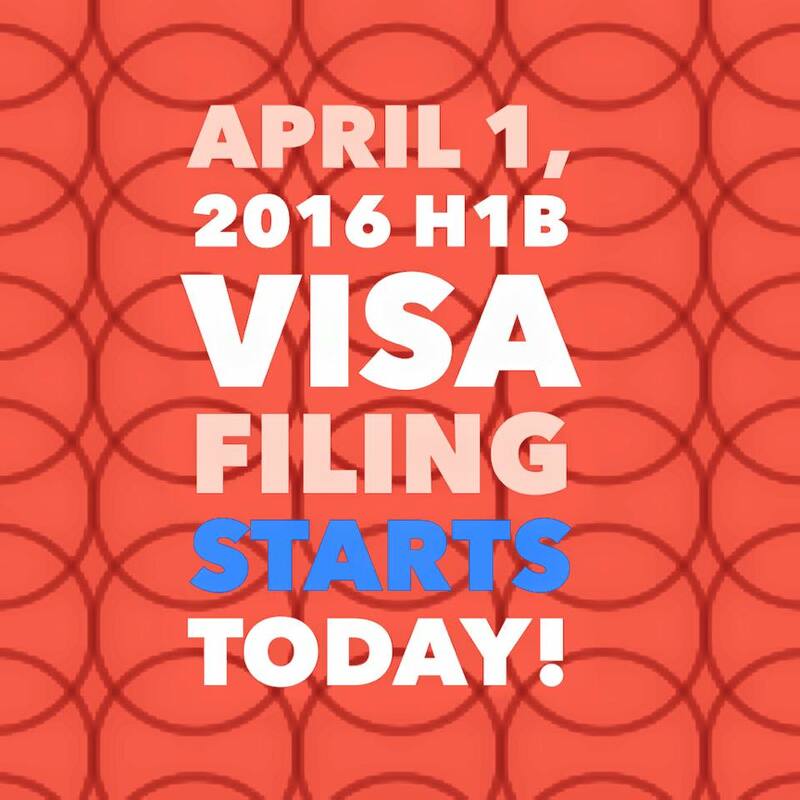 Today, April 1st, is the first day that USCIS will begin accepting applications for H-1B professional worker visas. It is likely that, as in previous years, USCIS will receive H-1B requests far in excess of the annual quota within the first week of filing eligibility, in effect resulting in a random lottery-type selection process. This occurred last year in the 2016 H-1B cap, which was reached in the first week of filing eligibility based on USCIS receiving approximately 233,000 H-1B cap petitions. The most conservative and recommended approach is to submit all 2017 cap cases during the first week of filing eligibility, starting today. For fiscal year 2016, our office filed approximately 76 H-1B petitions. 75% of these petitions were filed for the regular Bachelor’s cap, and 18% were filed for individuals holding U.S. Master’s degrees or higher. Approximately 82% of these petitions were filed with the California Service Center, and 17% of these petitions were filed with the Vermont Service Center. The top H-1B specialty occupations, filed for fiscal year 2016 included: software engineer, technical writer, general manager, market research analyst, business specialist, budget analyst, and graphic designer. Good luck to all employers and foreign workers participating in H-1B season. For more on the H-1b visa please click here.